The “Modern Technology” they are referring to is the internet. The internet is barely even current technology now. 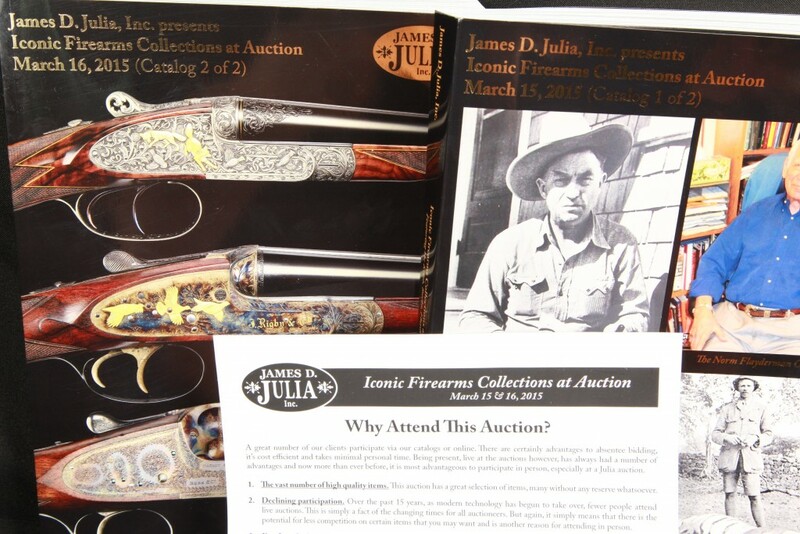 In fact, Gunauction.com (formerly Auction Arms) has been in the business of online gun auctions for close to 17 years. And the biggest internet auction giant, eBay, has been around since late 1995. This comes as no surprise to Lock Stock and Barrel, Internet auctions allow for more potential bidders. It is easy, low pressure, and can be done from the comfort of your home. The format of online gun auctions allows for lengthy and detailed descriptions and the quantity of pictures is unlimited, versus 1 or 2 pictures in the print catologs accompanied by a 1 or 2 sentence blurb on the gun. With more happy bidders, comes higher prices for the sellers / consignors. Yes, the deals at live auctions are a result of bidder turnout… The internet can draw more bidders in an hour than could ever fit into any auction hall, most of whom can bid in their pajamas with their favorite tumbler of whiskey and a cigar. James Julia mentioned that less competition (due to the low turnout) will lead to some deals, so attending is extremely important. We hope consignors realize that this means less money for them. There are deals online too, but the deals are from misspelled titles, uneducated sellers, or just poor all around presentation – look at our firearms at auction, you won’t see any of that here. Times are changing and this is taking MOST auctioneers by surprise, but not LSBauctions. We are dedicated to online auctions and drawing people from the stiff chairs of an auction hall to their comfy recliners at home. The times have changed and internet sellers like lock-stock-and-barrel have set the bar high for quality in descriptions, photography and customer service.